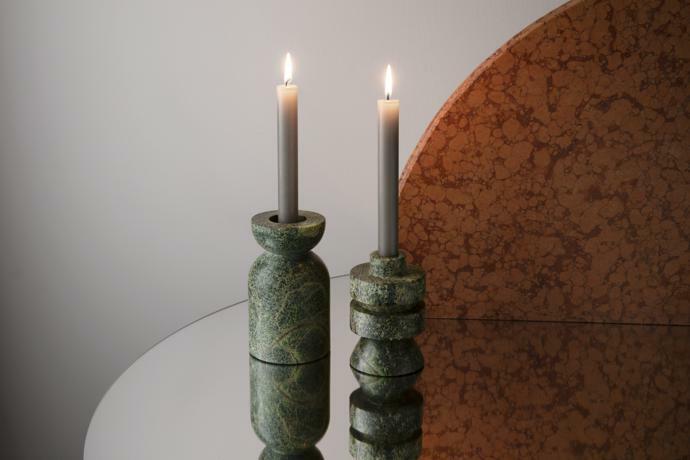 British designer Tom Dixon’s latest collection combines sophisticated fun with functionality. 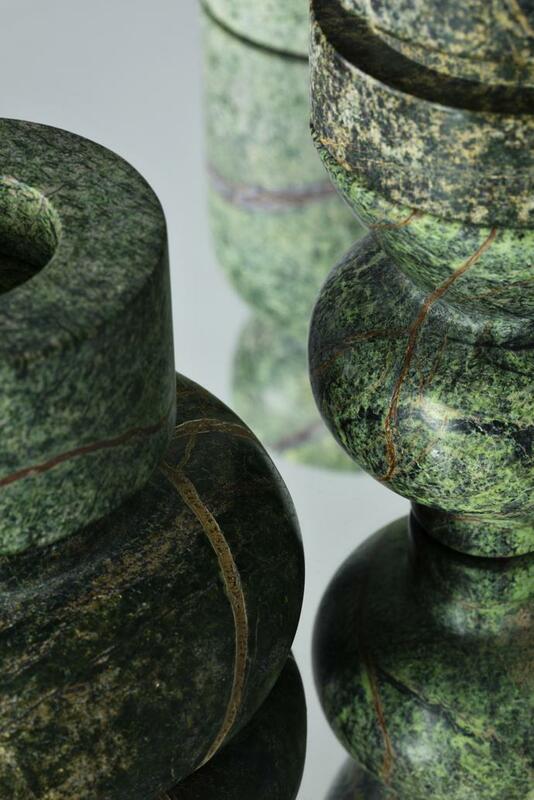 ROCK is an interactive collection of stackable sculptures that can be used as architectural decor in your home. 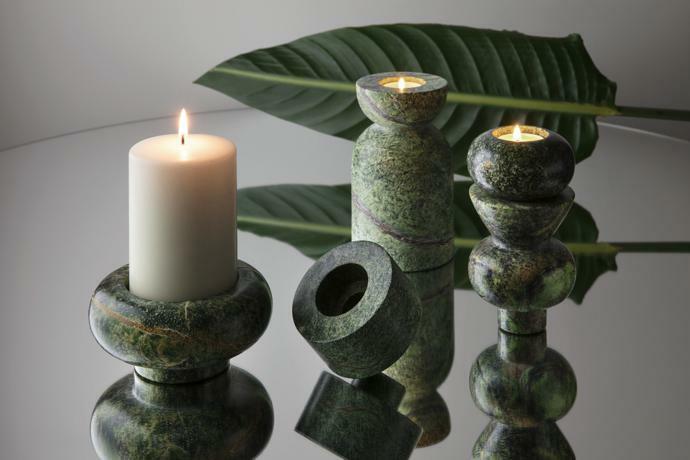 Inspired by the hand-lathe workers of India, the collection is made up of a series of green forest marble artefacts. 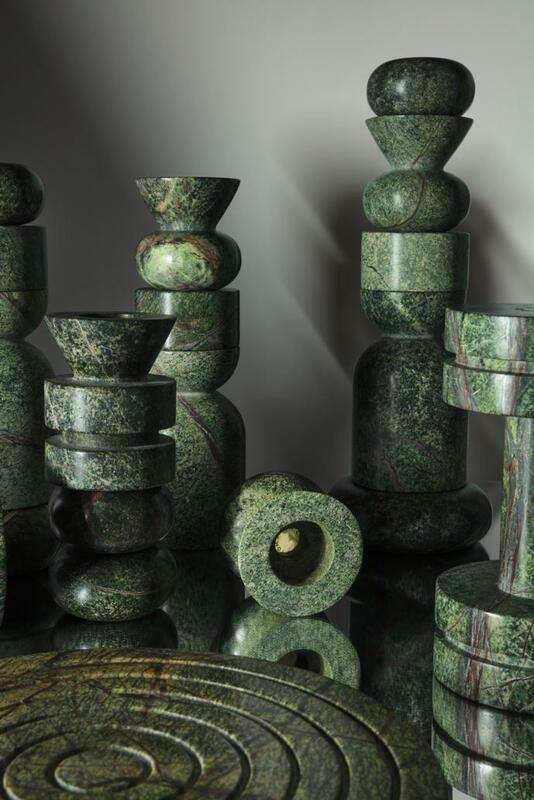 The pieces are carved from different marble blocks, meaning each one has its own unique pattern and texture. 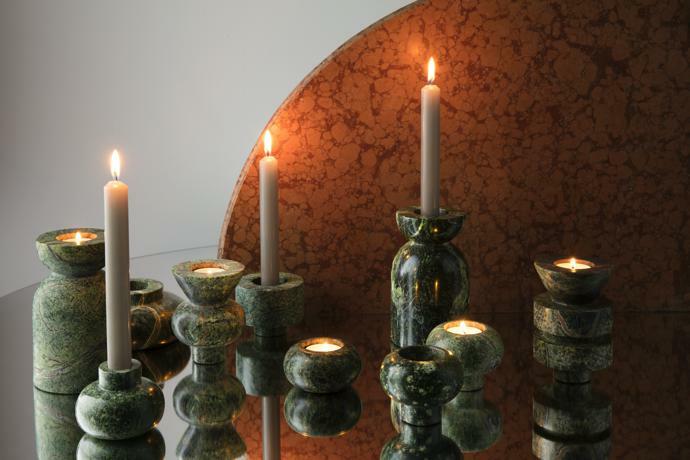 ROCK Candleholders – A playful interactive set that can be stacked and reconfigured. 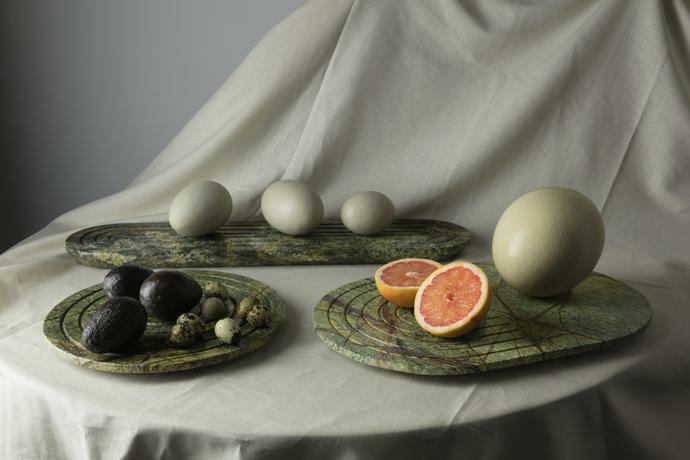 ROCK Serving Boards – Grooved chopping boards and serving platters, designed to furnish kitchen counters and dining-room tables. 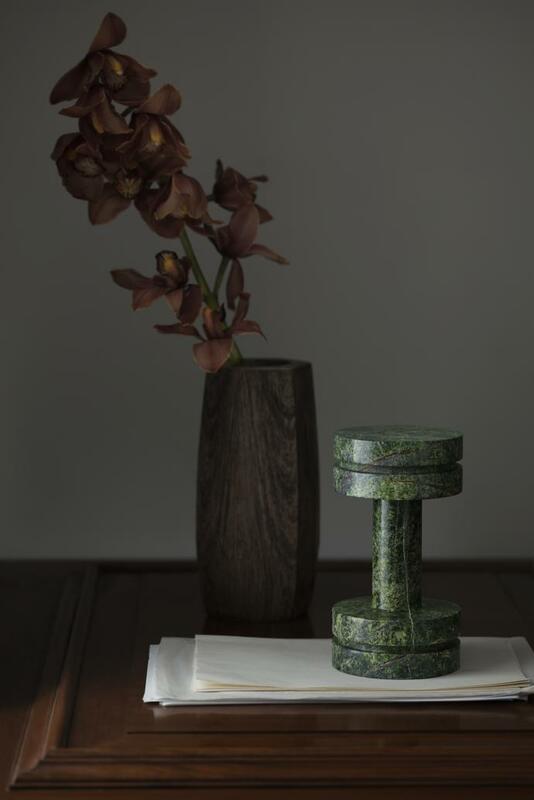 ROCK Dumbbell – A 3kg dumbbell. 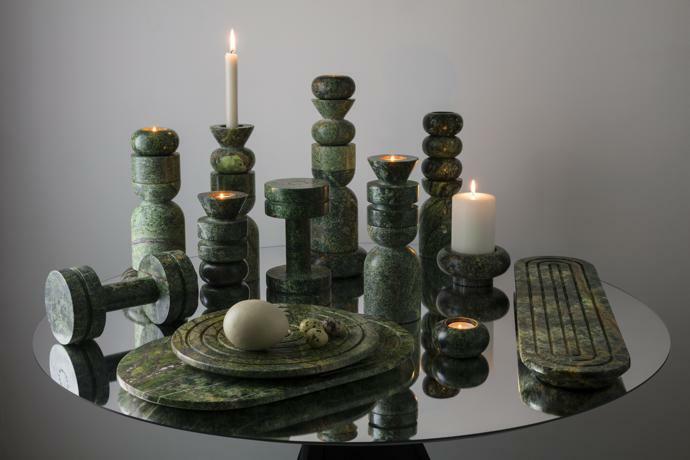 The ROCK collection will be available from 1 September 2018 online at tomdixon.net. 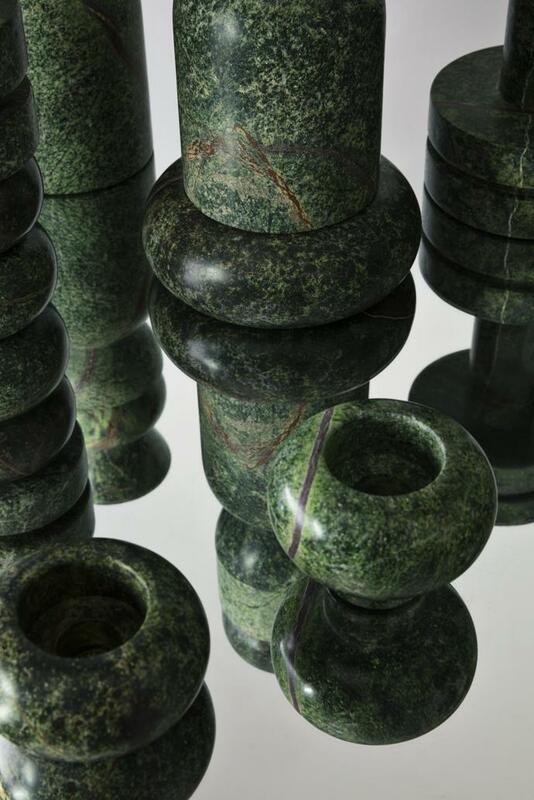 Missed our interview with this design icon? Read it here.